Alphanumeric liquid crystal displays are the most common and basic form of displays after seven segments and LED displays. They are useful for projecting multiple data quickly in ways that are otherwise difficult with other kinds of displays. 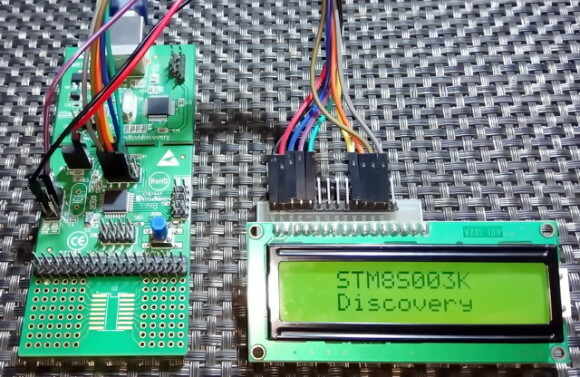 To interface a LCD with a STM8 micro, we need LCD library. 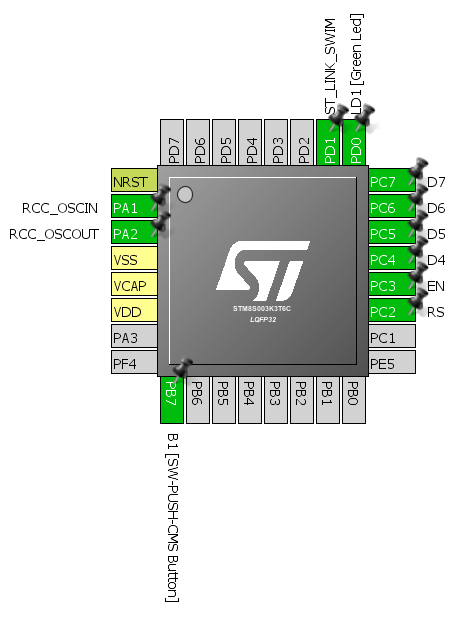 The STM8 SPL does not have a library for such displays and we need to code it on our own. Interfacing a LCDs are not difficult tasks as no special hardware is required to drive LCDs other than GPIOs. However, there are some tasks needed in the software end. We need to include the library files. The process of library inclusion is discussed in the later part of this article as it needs some special attentions. 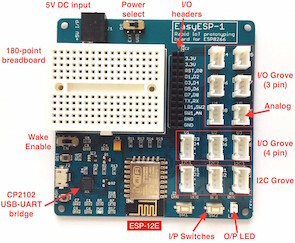 The example I’m sharing here uses 6 GPIO pins from GPIOC. The read-write (R/W) pin of the LCD is connected to ground. The layout is as shown below. There’s little to explain this code as it involves GPIOs only. 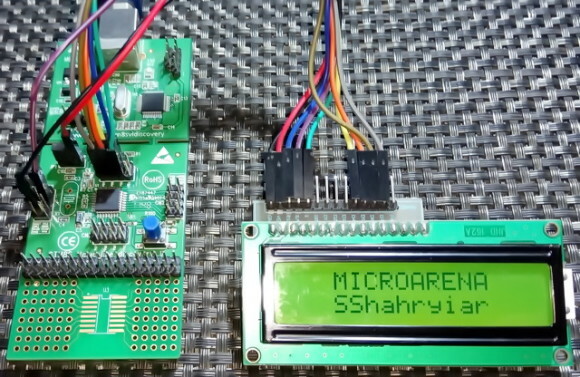 The codes for the LCD are coded using all available info on its datasheet, just initialization and working principle. One thing to note, however, is the CPU clock speed. If the CPU clock is too fast, LCDs may not work. This is because most LCDs have a maximum working frequency of 250kHz. It is best to keep this frequency below 200 kHz.